Glass Nation strives to have a large selection of Elbo Glass for sale online. Elbo makes the best raptor rigs and dinosaur bong art collaborations ever. No two Elbo Glass Bongs are the same. He draws is influence from many other artists and cartoon artists. Elbo has done collaborations with many other high end American glass artists. If you are ever fortunate enough to see an Elbo glass art piece up close and in person you will truly be impressed by its supremely high level of craftsmanship. 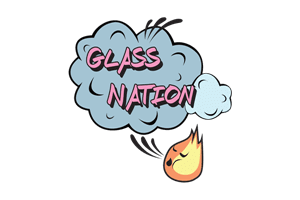 Glass Nation is so proud to have a selection of Elbo Raptor Dab Rigs & Dinosaur Bongs to choose from in our online headshop. Firstly, you will not be disappointed if you are the proud new owner of an Elbo Dinosaur bong. Additionally, all your friends and family will be super impressed with your fine taste in art and heady bongs.